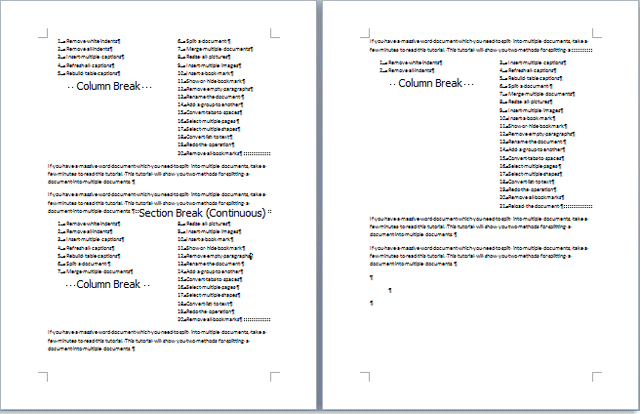 Is there a way to remove all of column breaks in Word at once without removing them one by one? The common method is to show hidden format symbols and delete column break symbols one by one in draft view. 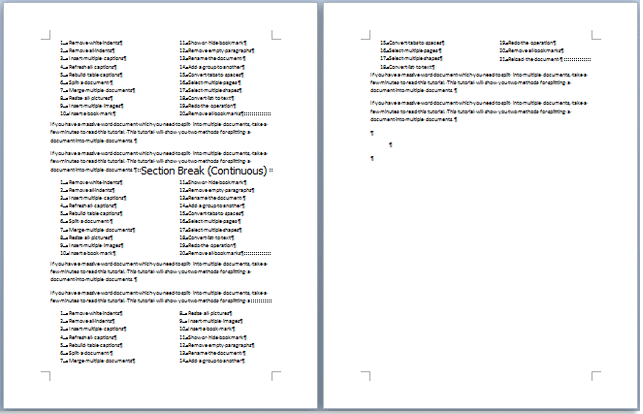 Work may be tough for a long document. 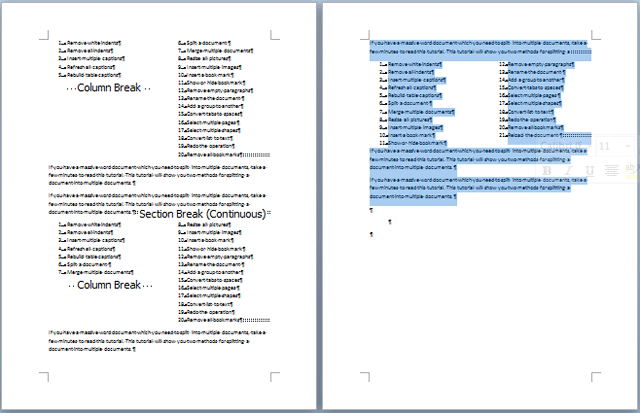 The Kutools for Word's Remove Column Breaks utility will help you delete all column breaks in the whole document or selections immediately. Supposing you want to remove all breaks from whole document, you can apply the utility by clicking Kutools > Breaks > Remove Column Breaks. 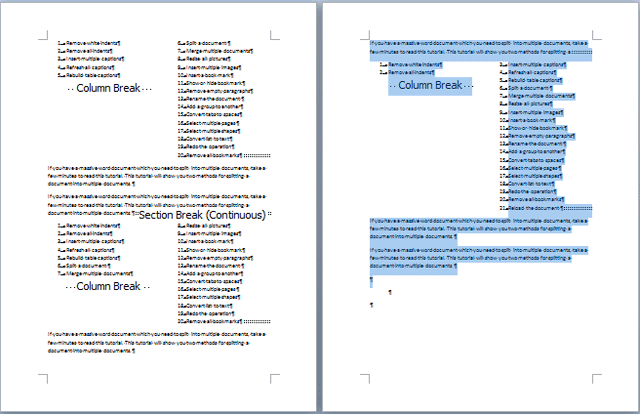 All column breaks in the whole document will be removed.